Can Your Trees Be Saved? When Should Trees Be Removed? When a tree develops problems, it can be challenging to decide whether to remove it or treat it. This is not a decision that should be made by anyone other than a certified arborist. There are too many factors to consider and to remove a tree that simply needs treatment would be a shame. T & L Tree Service is in the business of saving trees whenever possible – that’s one reason our St. Louis area communities rely on our arborists to help them diagnose and treat tree issues. It can be such a tough decision to remove a tree. Quite often, emotional ties and the benefits of the tree can come into play. The good news is, there are times when a dying tree can be left alone. Trees in natural wooded areas that do not pose a danger to property and people can be allowed to die in place without intervention. Dead trees provide food and nesting areas for birds and other wildlife and compost into the forest floor providing nutrients for the soil. If you have acres of property and a wooded area, leaving dying trees alone can be beneficial. Dead or dying trees in populated areas, yards, and on commercial property pose safety risks and hazards and best be removed. Trees that have structural defects could also cause potential injury to people or damage property. In both scenarios, these trees need immediate attention and should be evaluated by a T & L Tree certified arborist. Ash trees that have been killed by Emerald Ash Borer are also a big concern. Their wood becomes very brittle due to borer damage and limb breakage is a major issue. Removing these trees can be tricky, that’s why we recommend contacting our certified professional arborists to have dead ash trees assessed and removed as soon as possible. Is it a desirable species? Dead branches, how many and where? Sprouts coming from the base of the tree? How will it affect surrounding trees? Does it pose a risk? Can Your Tree Be Saved? Crane operation up to 120 ft.
Bucket truck operation up to 60 ft.
T & L Tree Service, Inc has provided a variety of professional services within the tree care, plant health care and landscape industry for the past 40 years. Located conveniently in Hazelwood, Missouri, we are dedicated to providing our clients, both commercial and residential, with quality & personalized tree services, plant health care, landscaping, storm damage and debris cleanup services. Only a handful of the other 4,000 tree service companies serving the St. Louis Metro area have certified arborists on staff, like us. At T & L Tree Service, Inc, customer service is our number one priority. This is expressed through the personalized care that each customer receives and our company's commitment to education. 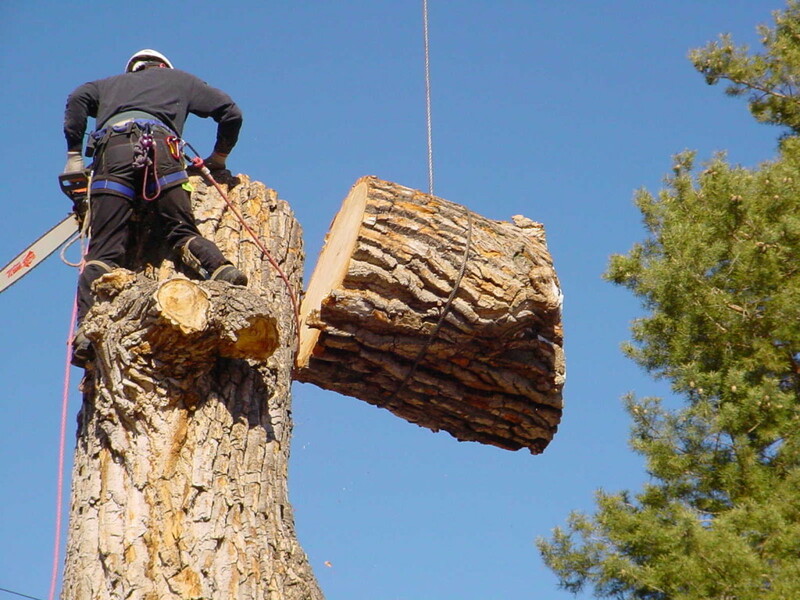 All our arborists are certified through the International Society of Arboriculture (ISA), and our company is certified by the Tree Care Industry Association (TCIA). T & L Tree Service, Inc serves the North, St. Louis and St. Charles counties. Copyright © 2019 · T&L Tree Service - All Rights Reserved. Sitemap.